Dirt on Us, Baldridge explains, was largely influenced by his upbringing in the tiny town of Patoka, Ill., and his varied musical favorites: Earth Wind & Fire, Michael Jackson and Huey Lewis and the News among them. “I really owe to my record label for letting me [have] 100-percent freedom on making this record, and not making me live in a box,” Baldridge notes. To read the full story, click HERE. The up-and-comer’s debut album, Dirt on Us, is out now, he’s on the road for a radio tour, and his current single “Dance With Ya” is climbing the charts. When it came time to select songs for his project, Baldridge was serious about having some fun — so serious, in fact, that he’s coined the term “funkry” (“funk” plus “country”) to describe his particular style of music. “You know, our fun and upbeat stuff,” he says with a laugh. “It’s got a little funk and country … but I never take away from my small-town roots and where I come from … It’s a groovy album with a small-town layer.” To read the full story, click HERE. 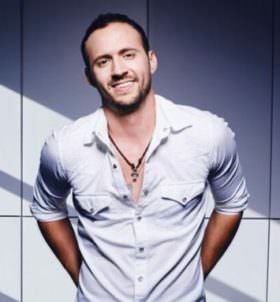 Rising country star Drew Baldridge got that opportunity on Thursday (June 16). Singing his newest single “Rebound”, Baldridge wowed the audience from the moment he stepped on stage. In between songs, he told a story about the first time he ever visited Nashville. His mom took him for his 18th birthday and got tickets to a Josh Turner show. Turner just so happens to be Baldridge’s favorite singer. He got a hat signed by Turner and it was that moment that Baldridge knew he wanted to move to Nashville to pursue a career in country music. Paying tribute to the moment, he announced he would be singing Turner’s hit, “Your Man”. To Baldridge’s surprise, the Opry got Turner to come out and surprise him during “Your Man”! The look on Baldridge’s face was PRICELESS! He couldn’t even continue singing. All he could say was, “Oh my God!” – Click HERE to read the full story. Video posted above.